bHIP Energy Drink is the answer... it has a brand new name - Blue Energy Drink - and a brand new look... but it's still the same great healthy drink. Are 'energy' drinks all they’re cracked up to be? Caffeinated 'energy drinks' ('Red Bull'; 'Mother'; 'V' etc.) have become a popular part of the soft drink market, and are also sometimes used as a way of losing weight. But are they all they’re cracked up to be? Do they provide energy? And are there any particular downsides? The answers are simple – but complicated. In the first place, such products tend to be loaded with both caffeine and sugar. The caffeine (often the equivalent of 2–3 good strong cups of coffee in a serving), is likely to provide an energy 'hit' to the around 50% of the population who are caffeine sensitive. For these people, such 'energy' drinks are likely to cause jitteriness and inability to sleep, and possibly increase the adverse effects of stress. (It’s no coincidence that manufacturers have specifically targeted the youth market who tend to 'binge' on such drinks to keep themselves 'up' while drinking alcohol until late which otherwise might bring them 'down'). For this reason, it’s also possible that such drinks might have a weight loss effect in some people (by reducing hunger levels). The sugar in these drinks provides the biological 'energy', or calories, which makes them truly able to be called 'energy' drinks. This is likely to offset any weight loss benefits by increasing calorie intake (unless the caffeine is very effective in reducing other food intake). The energy it provides to carry out activity could be brief and intermittent. A potentially more serious downside is death. A January 2009 article in the Medical Journal of Australia details the case of an 18 year old otherwise healthy young man in Port Macquarie NSW, who died after a day of moto-cross racing and drinking 'energy' drinks. Surgeons claim the excessive ingestion of caffeine and taurine in the drinks, combined with strenuous physical activity, can produce a heart attack by inducing coronary vasospasm. Warnings have come also from the University of Sydney & the AMA about the risk of heart problems caused by some energy drinks. The problem is, of course, that as energy drinks become more easily available, people forget, or just don't know, that just because they are so readily available it doesn't mean that they are good for you. At last! an energy drink that delivers! bHIP or Blue energy drink delivers not only the energy boost that you're looking for, it won't compromise your health in any way. Unlike most of the energy drinks on the market, bHIP or Blue Premium Series energy drink is not loaded with caffeine and sugar and artificial stimulants. It's a low calorie, low carb, low sugar, low sodium, no artificial flavouring, all natural herbal formula.... and it's delivered to you in convenient, easy to carry individual sachets. Just mix with water and instantly your bHIP energy drink is ready for you. bHIP/Blue energy drink is fast becoming the preferred energy drink of thousands of active people around the world .... those who are looking for healthy alternatives in their every-day choices. Never heard of bHip? I'm not really surprised, although it has been around for some years now and has well and truly proved itself as an energy drink that delivers, you won't find it with the conglomeration of macho energy drinks jostling for space at the supermarket. The popularity of bHIP energy drinks - and yes, they have expanded the range to include PINK for women and RED for men - is spreading by word of mouth at such an incredible rate that it has already found happy supporters in over fifteen countries. So why this sudden popularity? Well, bHIP does things a bit differently to other energy drink manufacturers. For a start, you know the word that makes teenagers shudder ... HEALTHY, well, bHIP leans pretty heavily in the direction of healthy. It's low on Calories, low on Carbohydrates, low on Sugars and low on Sodium. It has a lot of good vitamins and minerals, fruits and herbs and all natural flavours. People who are conscious of the lesser health qualities of many energy drinks are finding bHIP energy drink refreshingly different. Whether you're a Semi-Pro or Professional Athlete - or just want to get the most out of your exercise regime - bHIP energy drink delivers the nutrients you need in a delicious, fast acting, long lasting formula that's convenient to carry - anywhere . . . Just mix with water, shake, and enjoy! Strenuous exercise produces an increase in oxygen consumption in muscular tissues. Unfortunately, as oxygen use increases so does free radical production. Free radicals are the number one cause of decreased athletic performance, recovery time, cellular death, and premature aging. To combat this damage, bHIP Energy provides a plentiful source of nutrients, hydration, and anti-oxidants. Free Radicals are scientifically documented to negatively impact Athletic Performance on multiple fronts: bHIP Energy's antioxidant formula will continually combat that Free Radical Damage. "The revolutionary product bHIP energy drink is well-known for optimizing athletic performance. It synergistically combines nature's most powerful antioxidants, vitamins and herbal supplements into the Proprietary Energy Formula that provides you the essential nutrients, amino acids, and metabolic enhancers required for optimal energy delivery and continual free radical protection. Recently, bHIP energy drink has successfully passed the test for anti-doping control. That means it is safe for any athletes who are serious about taking their performance to the next level." People involved in weight loss programs often feel really tired, irritable, and experience headaches. Your body becomes accustomed to your average daily caloric intake. When you begin decreasing caloric intake, additional stress is placed on your body as it attempts to adapt and become more efficient by increasing your metabolic rate. Fatigue, irritability, and, quite often, - headaches. During this time it is more essential than ever to provide your body with plentiful amounts of pure nutrients required for energy and vitality. Adequate hydration is also essential. Many energy drinks on the market contain high levels of caffeine and other known diuretics, which dehydrate your body. This places strain on your heart while additionally reducing your body's ability to rid itself of toxins and other harmful chemicals. bHIP energy drink is a scientific breakthrough for those serious about obtaining their desired weight loss goal. bHIP's herbal clean blend of organic herbs, vitamins, minerals, and amino acids is scientifically formulated to infuse, hydrate, and instantly replenish energy at the cellular level with zero interference from artificial caffeine, stimulants, sugar, or by-products. bHIP Energy promotes Thermogenesis and Boosts Fat Metabolism through green tea catechins and guarana. Green tea catechins promote weight loss by favorably affecting lipid metabolism in the blood, and through the stimulation of thermogenesis. Guarana provides a time-released energy that increases and boosts fat metabolism. Simply mix bHIP Energy Blend with 8 oz of water and enjoy a pure source of hydrating nutrients your body requires to reach your desired weight loss goal. bHIP Global is recognized as the first company to introduce "a new breed of energy" into the marketplace. The propriety energy blend formula that is a "herbal clean energy" is considered a category creator in the beverage industry. Get started now and feel the difference that a bHIP energy drink can make for you. bHIP Energy Blend is a premium beverage and is available to consumers in 35 countries including the Australia, New Zealand, Papua New Guinea, USA, Puerto Rico, Mexico, Hong Kong, Taiwan, Singapore, the Philippines, Spain, Italy, Slovenia, Hungary, Austria, Japan, Colombia, Germany, Denmark, Malaysia and Thailand. Check the link to find out if it is available now in your part of the world. 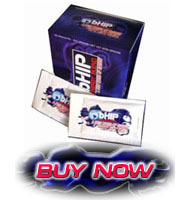 This High Impact Product, bHIP energy drink, has people feeling the results in minutes and lasting for hours. bHIP Global's philosophy is when they TRY IT, they FEEL IT, and will want to SHARE IT. bHIP Global’s industry breaking product, bHIP Energy drink, is being distributed by bHIP Global product promoters worldwide. bHIP Global redirects marketing and advertising dollars to pay those product promoters to penetrate the market by sharing bHIP Energy with the world. bHIP Global has the highest standard when it comes to the integrity of the product and company. Have a question? .... You can contact me here. Please be aware that I am a distributor of bHIP Global products and as such, will benefit in a small way if you purchase a bHIP product from this site ... to purchase at the very best price you could become a Distributor also.